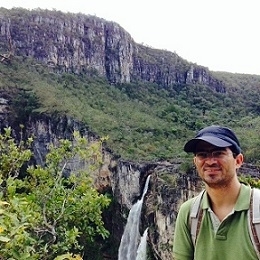 Life and challenges of an ordinary Brazilian Hiroshima University alumni. I am Luciano Charlita de Freitas, former Hiroshima University - IDEC student. Last October 2015 it completed four years since my return to Brazil after my PhD studies in Hiroshima. After my return I have been working on several personal and working projects. Working life is way different of student life but in some extent making meaningful quality work requires similar extraordinary effort and mental strength necessary for PhD studies. Currently I am working to the Brazilian Federal Government where I am engaged in several policy making projects for telecommunications and new technology development. One recent achievement from my office was the successful bidding of part of the electromagnetic spectrum that will allow the transition of our Television standard from analogic to digital in 5 years. The new technology uses the Japanese standard and lots of lessons I faced during my time in Japan were introduced in our technology migration plan. I am also working part time as visitor researcher at the University of Brasília. Despite of additional effort it requires to conciliate both professional and academic activities I believe it is the best choice for keeping my research activities moving forward. As a researcher I work in writing academic and policy papers and eventually teaching disciplines related to my PhD studies. 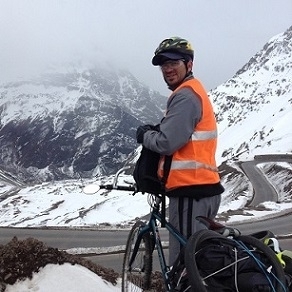 As personal projects I am increasingly interested in endurance trekking and bicycle touring. These are those sorts of sports that free myself of cumulated daily stress and raise my relationship with nature to a new level. Japan has lot of possibilities in these sports and despite the distances from Brazil I was able to travel there several times to practice trekking in outstanding Japanese mountains. Looking back to my previous experiences abroad always inspires me to move forward in my working and personal life and to engage in new challenges. Friends and professors also have their stake in my progress and keeping in touch with them makes life smoother and richer. For such reason I am sympathetic with the idea of building the Facebook’s Hiroshima University International Alumni Network. I believe it will become a hub for improving communication with current, previous and prospective students and to allow ideas for free flowing.